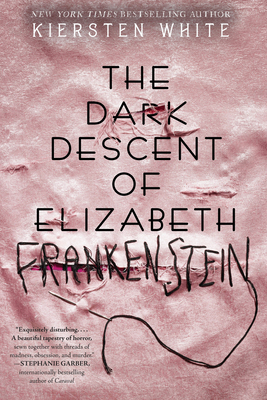 The Dark Descent of Elizabeth Frankenstein by Kiersten White is a deliciously disturbing reimagining of Mary Shelley’s famous classic and it’s fantastic! Meet manipulative Elizabeth Lavenza, an orphan with an uncertain future until she becomes the beloved pet of Victor Frankenstein and his freakish family. When correspondence with Victor mysteriously disappears, a desperate Elizabeth slowly unravels the secrets left behind by her love. With devastating consequences. Will Elizabeth’s love and dedication save the brilliant Victor or is it too late to put a stop to the madness engulfing his mind?